The Tree That Helped Make Caesar’s Crown. Laurus nobilis (Bay tree) is a species of plant steeped in history – the famous crown of Julius Caesar was actually made of bay leaves. It has been used therefore for centuries, both as a decorative plant, culinary herb and as a symbol of victory – laurel wreaths were awarded to the victors in the ancient Greek Olympics. Aside from it’s historic importance and culinary excellence, LN is a very attractive and decorative species of plant. It is most well know for the ‘ball-on-stem’ or ‘lollipop shaped’ trees which adorn the entrances of many country homes and upmarket offices. It is generally used as a centre plant and is also available in other formal shapes. It’s stem can come in many forms, braided, open braid, spiral and corkscrew. This gives added style and elegance to the tree. Bay trees can withstand temperatures of -5C in a sheltered area but it is susceptible to strong winds. When planted in a container, care needs to be taken in winter that it does not get waterlogged and in summer that it does not dry out. Regular and careful pruning is also needed to keep it in shape, unless of course it is allowed to grow wild. 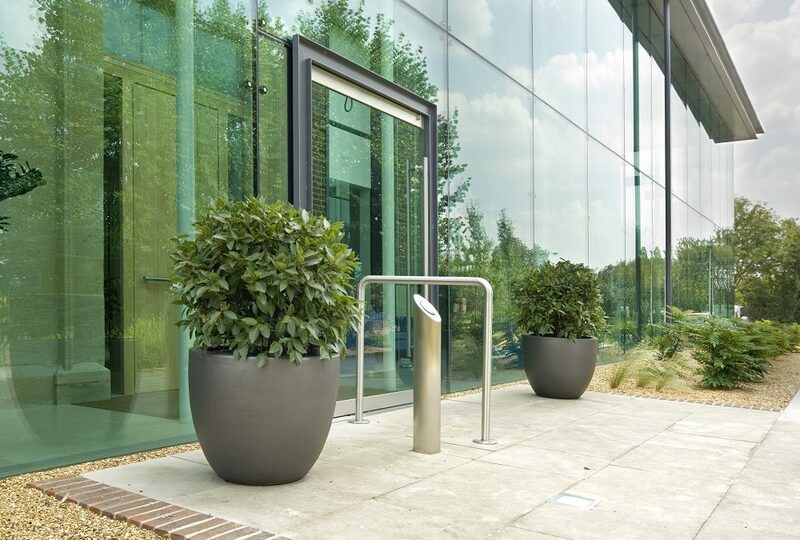 It’s timeless appeal mean that it is a great looking plant in a classic ornate planter outside an historic building or in a contemporary man-made planter outside a new office.